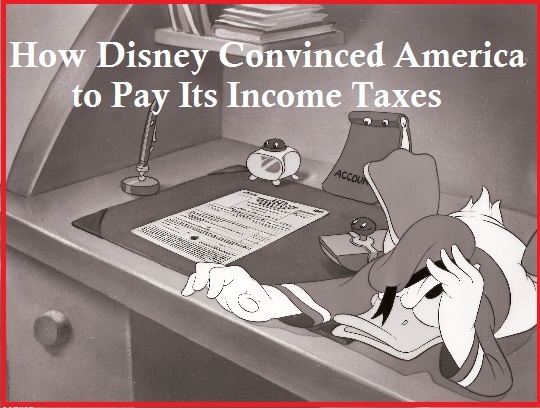 How Disney Got People to Pay Their Income Taxes! How Donald Duck and the Disney Studios convinced Americans that it was their patriot duty to pay their income taxes and pay them on time. Taxes to beat the Axis! 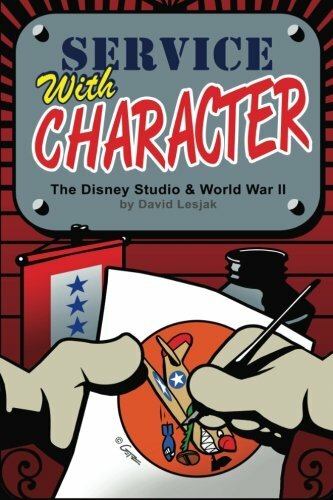 I learned something interesting in Service with Character - The Disney Studio & World War II by David Lesjak. The expenses of World War II meant that 7-million American workers would need to pay income tax for the first time so the US Treasury Department contracted the Disney Studios to create a cartoon short to convince these people that it was their patriotic duty to pay their taxes and pay them on time. Disney studios created the short film below, named "The New Spirit" with the slogan: Taxes to Fight the Axis which was distributed freely to theaters throughout the United States and was seen by an estimated 3.5-million people. Disney Studios produced the film at cost but when the Treasury Department submitted the cost ($80,000) in an appropriations bill, Congress denied the funding saying that the taxpayers would not approve of having their money spent on cartoons when there was a war going on. It was a very heated, very public debate that was covered widely in the news. Despite the fact that The New Spirit was produced at a loss and the free distribution of this film was costing the Disney Studios $50,000 to $60,000 in lost bookings for other cartoon shorts, the Disney Studios received hate mail accusing them of being war profiteers as a result of the negative press. Congressional never did budge on their veto but the US Treasury Department did finally pay the Disney Studios out of funds on hand. A second film called The Spirit of 43 was created a bit later that encouraged people to set aside money to pay their taxes. It had some new footage and reused a large portion from The New Spirit. It is notable for being the first appearance of a prototype of the character that would later be named Scrooge McDuck. This post is lovingly dedicated to Monica and Laura, two of our hard working travel agents who are feeling the burn of tax day. Chin up, my friends...your taxes will keep democracy on the march!